Photo Flash: In Rehearsal with Hayley Atwell and the Cast of ROSMERSHOLM Broadway WorldGet a peek below at rehearsals for the upcoming production of Henrik Ibsen's Rosmersholm below! Hayley Atwell: 'We spent a day underwater for Ibsen play Rosmersholm' Evening StandardHayley Atwell spent hours in a huge water tank with co-star Tom Burke for her return to the stage. Hayley Atwell's Avengers: Endgame Trailer Line Might Spoil A Big Death Heroic HollywoodThe newest Avengers: Endgame trailer contains a voice over from Hayley Atwell that might be a potential plot point spoiler. Hayley Atwell and Tom Burke to star in West End Rosmersholm revival The StageHayley Atwell and Tom Burke will star in a new adaptation of Henrik Ibsen's Rosmersholm in the West End. 10 Things You Didn't Know about Hayley Atwell TVOvermindHayley Atwell comes off as a very strong-willed woman when she's on screen and in person it doesn't seem as though she's any different. She might not be. The Long Song cast - Lenny Henry and Hayley Atwell star in BBC series Mirror OnlineThe Long Song cast is packed with stars telling a powerful story about slavery and love - here's who joins Lenny Henry and Hayley Atwell. The Long Song cast: Lenny Henry and Hayley Atwell star in BBC series Mirror OnlineThe Long Song cast is packed with stars telling a powerful story about slavery and love - here's who joins Lenny Henry and Hayley Atwell. Who’s in the cast of The Long Song? Lenny Henry, Hayley Atwell, Tamara Lawrance and Doña Croll star The SunThe BBC period adaptation of Andrea Levy's award-winning, best-selling novel boasts a stellar cast. Who is in the cast of The Long Song? Lenny Henry, Hayley Atwell, Tamara Lawrance and Doña Croll star The Irish SunThe BBC period adaptation of Andrea Levy's award-winning, best-selling novel boasts a stellar cast. Hayley Atwell: ‘I won't give my body dysmorphia a voice’ The GuardianThe actor on crying on stage, good legal advice and suffering from Fomo. Hayley Atwell: 'I won't give my body dysmorphia a voice' The GuardianThe actor on crying on stage, good legal advice and suffering from Fomo. Hayley Atwell on The Long Song: ‘In my twenties, I felt insecure. I’d worry I wasn’t enough’ inews.co.ukHayley Atwell made her name in costume dramas. In BBC1's The Long Song she plays a loathsome colonialist – and she loves it, she tells Gabriel Tate. Meet the cast of BBC1 drama The Long Song Radio TimesTamara Lawrance, Hayley Atwell and Lenny Henry lead the cast of this three-part drama set on a Jamaican sugarcane plantation. Hayley Atwell says she felt 'gross and disgusting' playing a slave owner Daily MailActress Hayley Atwell, 36, has revealed she felt 'disgusting and gross' playing a slave owner in forthcoming BBC drama The Long Song. Atwell says she felt 'gross and disgusting' playing slave owner Daily MailActress Hayley Atwell, 36, has revealed she felt 'disgusting and gross' playing a slave owner in forthcoming BBC drama The Long Song. 'Avengers 4: Endgame' Teases Possible Hayley Atwell Cameo Comicbook.comDue to all of the devastation that occurred in Avengers: Infinity War, the trailer for Avengers: Endgame didn't grace us with too many character appearances. Hayley Atwell on her unconventional upbringing and what actress Jodie Whittaker taught her at drama school Marie Claire UKShe's the Marvel Universe star who grew up in social housing. Hayley Atwell tells Jude Rogers about her latest role and speaking out for Justice4Grenfell. Is Hayley Atwell's Agent Carter In 'Avengers: Endgame'? 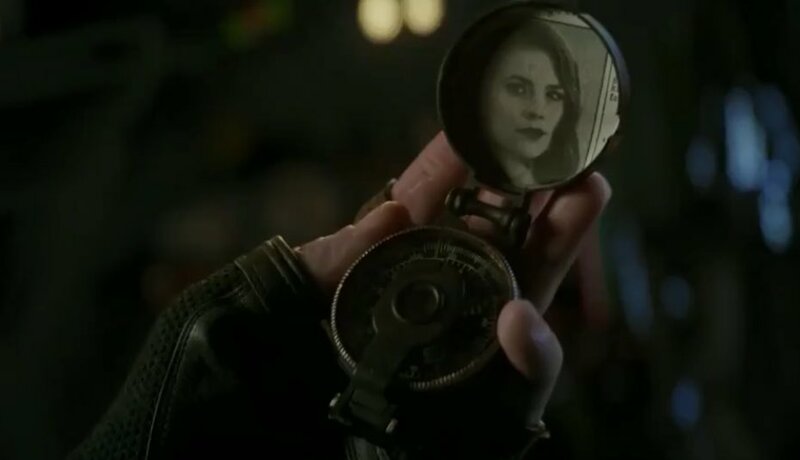 Heroic HollywoodA moment in the new Avengers: Endgame trailer has some thinking there may be a Hayley Atwell cameo in upcoming mega Marvel mashup. Hayley Atwell on her latest BBC role and what Jodie Whittaker taught her Marie Claire UKShe's the Marvel Universe star who grew up in social housing. Hayley Atwell tells Jude Rogers about her latest role and speaking out for Justice4Grenfell.